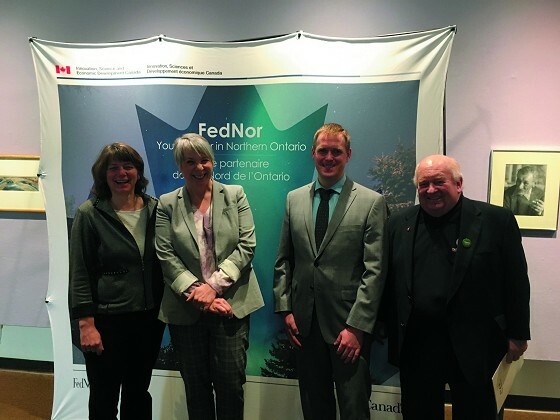 The Government of Canada is investing $698,400 to enable the Northwestern Ontario Innovation Centre (NOIC) to launch two three-year pilot programs in support of innovative, small-medium sized enterprises, and youth recruitment and retention in Northwestern Ontario. with business growth and market development. The remaining $199,400 will enable the NOIC to introduce its Youth Effect project that will provide entrepreneurial, innovative youth (aged 18-29) with experiential learning and training through 15-week placements with innovative small and medium-sized enterprises. Under this program, SMEs that identify a need for support with a specific project will be matched with qualified youth based on their skills, interest, and need. The project is expected to lead to full-time employment for many of the participants. Judy Sander, Manager NW Ontario Innovation.